The secret is out! In July Fast Company included Eugene in "THE NEXT TOP 10 CITIES FOR TECH JOBS". This prompted ACT | The App Association to visit and see what was happening in Eugene. They must have liked what they saw because last month ACT along with, local tech networking group, Silicon Shire co-hosted a Developer Education Series luncheon on the University of Oregon campus to talk about technology development in Eugene. The luncheon brought policy makers, Congressman Peter DeFazio and Senator Ron Wyden, together with industry and education leaders from Concentric Sky, SheerID, AppNexus, Code.org & the University of Oregon Computer Science Department. With a team like this, Eugene is set for a bright tech future. Now it&apos;s up to us as story tellers to keep up with the #EugeneTech community. On September 23rd, 2015, University of Oregon launches a new center and gains federal cyber research recognition. The UO has been awarded a federal designation as a National Center of Academic Excellence in Cyber Defense Research and is launching a Center for Cyber Security and Privacy. Announced in January, Eugene plans to expand its fiber optic network by 120 buildings in the downtown area. We&apos;re talking about speeds up to 1 gigabit per second. Work on the expansion could start as early as this June. We go by many names: #EugeneTech, Silicon Shire, BitForest . Name aside, the Eugene metro area has the perfect formula for a vibrant and ever evolving technology community. We&apos;re a university town located in a recreational paradise with an amazing talent pool of gifted tech professionals and a community that supports entrepreneurship. The ever-growing number of local watering holes doesn&apos;t hurt the mix either! Silicon Valley is closer than ever with connections from San Francisco and Oakland to the Eugene Airport. 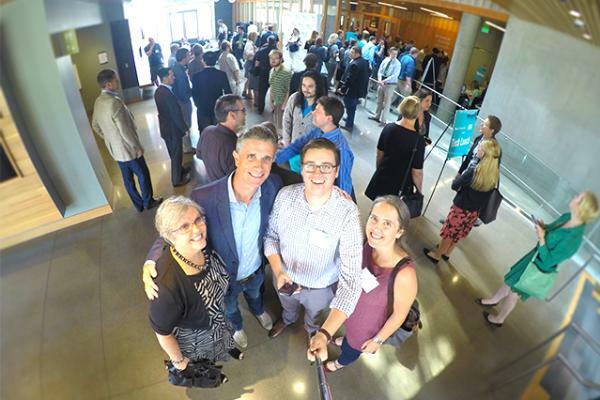 No matter what size group is coming in, Eugene-Springfield metro has the right-sized spaces, from large university facilities to intimate tech incubators. CodeChops: The first modern shared / fiber optic/ co-working space in Eugene, located on the second floor of the newly remodeled Broadway Commerce Center. CodeChops is managed by Mark Davis of FlishHorse and Sammy Russo of Click Refresh. The space currently houses 6 full time companies and nearly a dozen part-timers. Their conference room is available to rent for smaller groups. 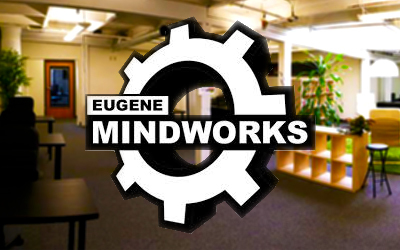 Eugene Mindworks: With over 11,500 square feet, it&apos;s Oregon’s largest coworking space. Eugene Mindworks creates a collaborative environment with the digital creatives needed in today’s business world. The space features three conference rooms. The largest conference room comfortably seats over 100 people and features online video conferencing with a 60″ monitor, mobile PA & Bluetooth capabilities. Fertilab : A non-profit community that supports startup businesses around Lane County, OR. They are engineers, scientists, marketers, software developers & allied professionals. Fertilab has three sites, Fertilab Main - located in downtown Eugene, a 1,200-square-foot fully outfitted biotech lab & analytic chemistry lab for brew and wine industries with available meeting space. 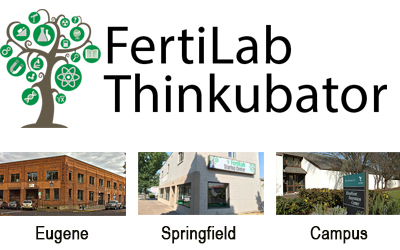 The Fertilab Start Up Center in Springfield has over 1,800 square feet of co-working space with an available conference room. The Fertilab Campus has a fully outfitted chemistry lab, access to all of University of Oregon shared facilities and a large conference room available to groups. 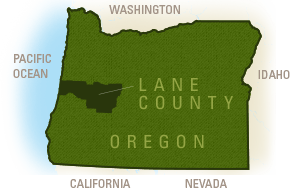 Lane Community College - Center for Meeting & Learning: The CENTER at the main campus of Lane Community College has a 35,000-square-foot conference and event facility, featuring a 6,900-square-foot main event space, high-tech auditorium, breakout rooms, computer training lab and a spacious lobby. The CENTER&apos;s LEED Platinum certified downtown conference facility has over 10,000 square feet of state of the art space. 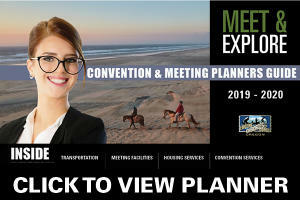 University of Oregon - Conference Services: The University of Oregon offers more than 120 spaces, including classrooms and lecture halls that can hold between 10 to 320, and large performance halls that can hold as many as 900. Their meeting rooms feature a full-range of audio-visual equipment and free wireless access. The UO audio-visual support team will finesse the technical details to ensure that your event is an unforgettable experience. 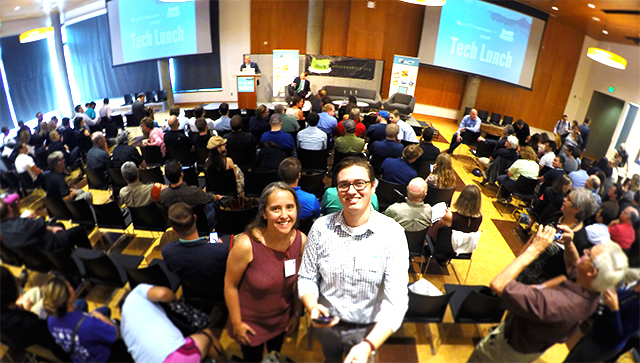 Eugene, Cascades & Coast&apos;s Samara Phelps & Stephen Hoshaw getting ready for the Tech Lunch to begin! Meet in the Tech Playground! Network, collaborate & brainstorm your group&apos;s next Big Idea here. Eugene, Cascades & Coast is here to help, contact Juanita today.